A retrospective of the works of East Bay artist Helen Ann Licht will open at the Jewish Heritage Museum at the Reutlinger Community in Danville on Monday, Feb. 19. The exhibit will focus on Licht’s colorful paintings and lithographs influenced by the Bible and Jewish themes. Her art is often inspired by trips to places such as India, Argentina, Mexico, Israel and Europe. Licht graduated from Stanford University and later earned a degree in studio art and art history at UC Berkeley. Her work has been shown in galleries and museums such as the Magnes in Berkeley and at universities in the U.S. and Mexico. Her oil painting “Jacob and the Angel” has been featured on Visual Midrash in Israel. 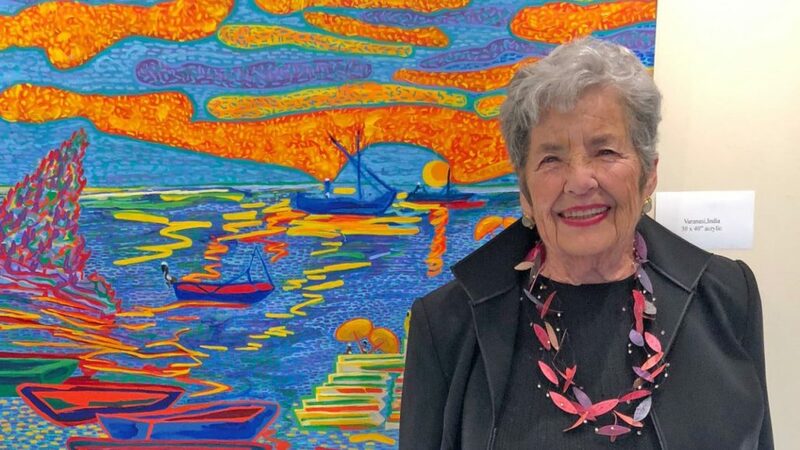 The Reutlinger will host a reception with the artist in attendance from 2 to 4 p.m. on March 4, and a “Conversation with Helen Ann Licht” on April 1 at 2 p.m. “A Spiritual Journey–Helen Ann Licht Retrospective” will be on display through June 10 at 4000 Camino Tassajara, Danville. For information, call (925) 648-2800 or visit rcjl.org.